This tour will walk in the path of the original settlers of Philadelphia. Early Philadelphia looked very different from today's metropolis. This illustrated tour will feature rare images of the waterfront. Learn the history of the waterfront. Early Philadelphia looked very different from today's metropolis. The river was twice as wide and populated with many small islands. This tour will feature many rare images of the 18th Century waterfront. Learn the history of the waterfront. 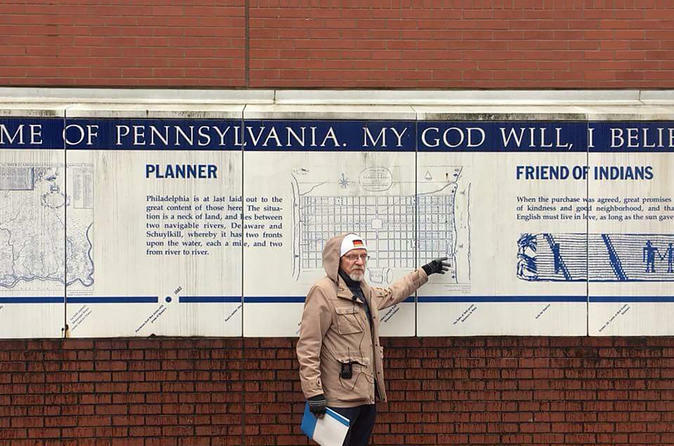 Tour starts at Penn’s Welcome Park where you will learn the details of how the original Philadelphia was laid out and the role that the waterfront played in its development. Willow Creek site and more. Formal tour ends at 3rd and Callowhill but group can be accompanied to a local destination nearby such as the Independence Visitor Center. Special Offer - Book by May 25 to save 15% off our previously offered price! - Book Now!